Are you a food lover or loves to cook varieties of food. Or want to learn cooking. Then YouTube can be the right place. There are lots of Cooking Channel especially open to teaching, share you varieties of foods recipe. And proud to say, there are some Nepalese who are popular among foreigners as well as Nepali for their food recipe, they share on their YouTube channel. Some of them are resident from Nepal and some are NRN. So, GulmiResunga.com is glad to bring you the 5 popular cooking channel on YouTube especially run by Nepali YouTubers. 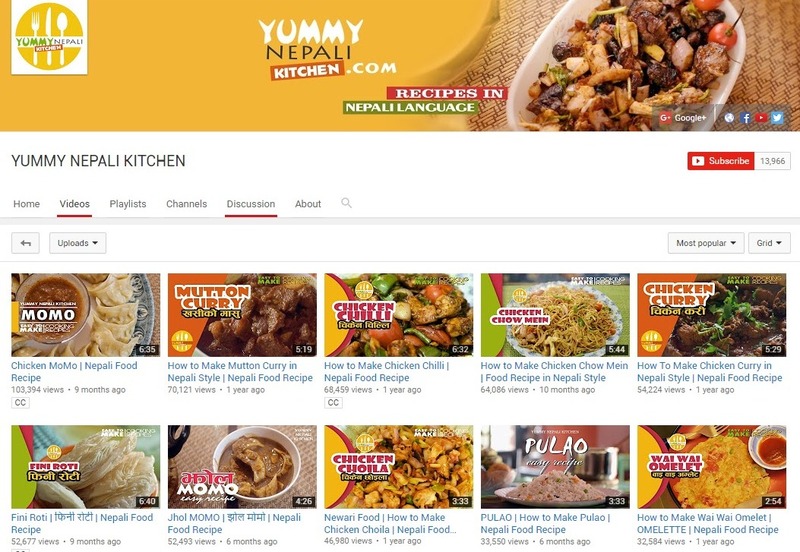 With more than 13,966 subscribers YUMMY NEPALI KITCHEN is one of the best cooking channels on YouTube. This channel was started on July 2, 2015, with over 15 Lakhs total views. You will find lots of Yummy recipes in this channel. The recipes are narrated in the Nepali language with the sweet voice and are very easy to follow. If you are food lover or love to cook then you must subscribe this channel. 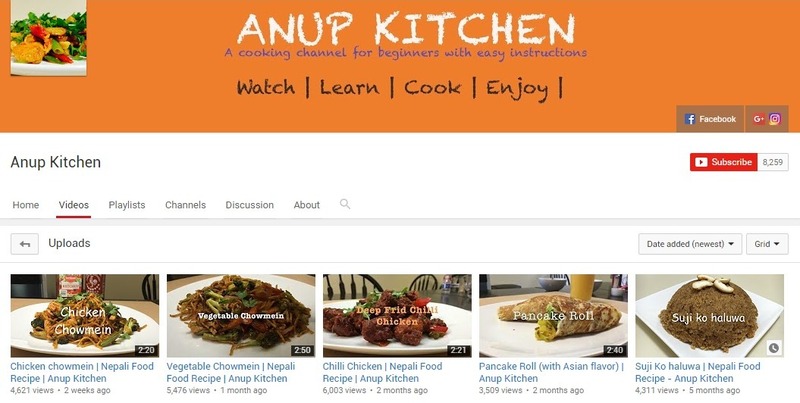 As the name says "ANUP KITCHEN", this channel is run by Anup Bajracharya. He is NRN from the USA. His channel Anup Kitchen was started on February 12, 2014, with total 1 Million views (as of August 2016). He has more than 8000 subscribers on his YouTube channel. He mostly publishes Nepali foods recipe with English narration. YUMMY FOOD WORLD is specialized mostly in Nepali and Newari Cuisine but you will also find all kind of recipes in this channel. This channel was started on January 31, 2016, and has collected more than 4000 subscribers and more than 3 Lakh views in the short time. The recipes is narrated in Nepali Language and are easy to understand and follow. 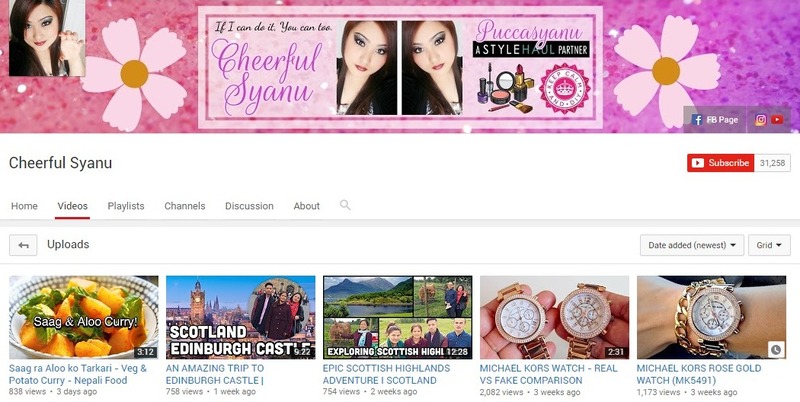 This channel "CHEERFUL SYANU" is run by UK NRN Sunita Gurung. This channel was created on January 12, 2011. This channel has more than 31K subscribers and has cross 8 million views. Though, this channel has more subscribers than above channel, the reason for being this channel at number 4 is that, this channel is not specially created for cooking recipes. It's mostly specialize on Beauty Tips but not to mention you will get some great food recipes in this channel. Mamta Gurung NRN from HongKong is the owner of this channel. This channel also specialize of food recipes and beauty tips. The channel was started on December 24, 2011. It has gained more than 5000 subscribes with over 9 Lakh views. 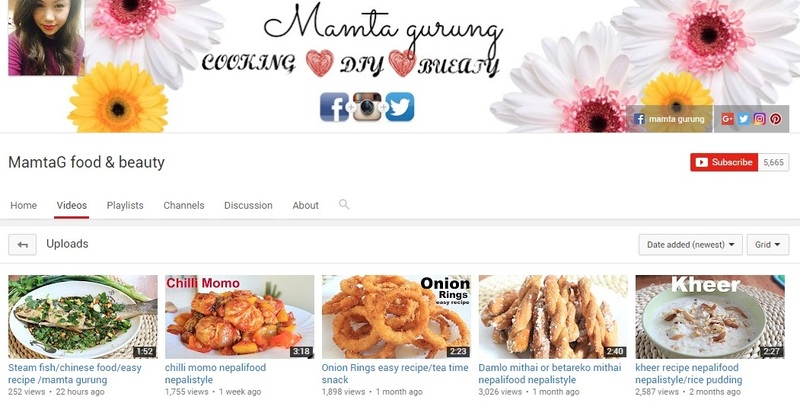 These are some of the Top YouTube Cooking Channels run by Nepali YouTubers. They are using their hobbies and knowledge to teach us varieties of food recipes. And they are also earning $Dollar from YouTube by sharing their knowledge with viewers. So, if you have also some extra knowledge then you can start your own YouTube channel, which doesn't cost a penny. But it gives you an opportunity to earn some money. If you need help regarding this then you can Contact Us. 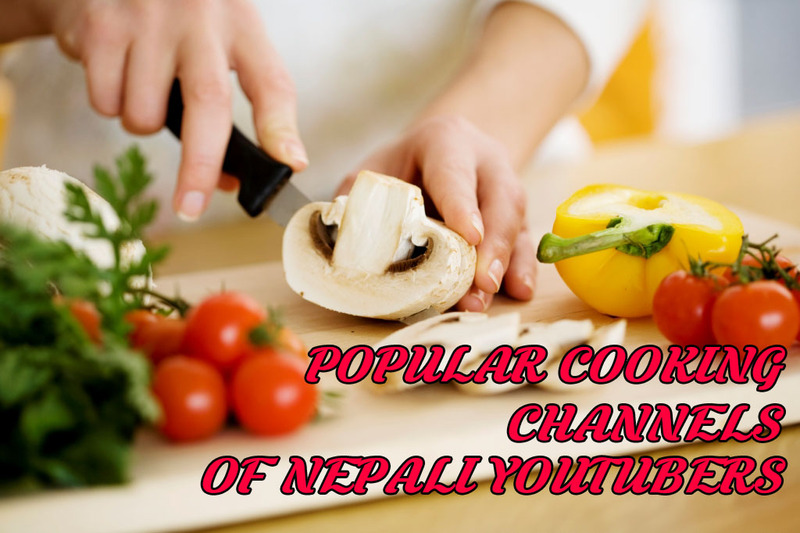 And, finally, if you know some other Cooking channels of Nepali YouTubers you are following, then kindly share with us on below comment. Are you a food lover or loves to cook varieties of food. Or want to learn cooking. Then YouTube can be the right place. There are lots of Cooking Channel specially open to teach, share you varieties of foods recipe.